Editor's note: This article was originally published on 1/8/14 but was updated on 1/9/14 with details about the monitor's refresh rate. LAS VEGAS—Dell's making good on its promise to deliver a sub-$1,000 4K PC monitor during CES 2014—and amazingly, "sub-$1,000" didn't mean "999." 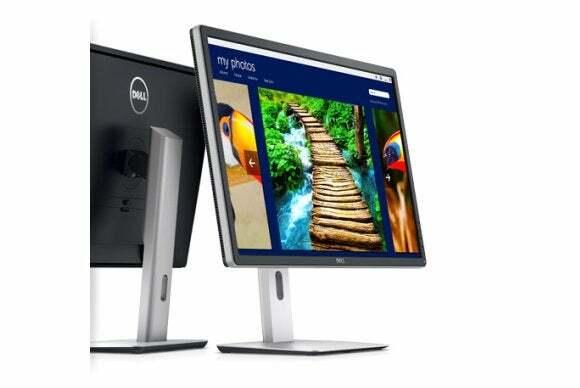 Dell's new 28-inch UltraHD monitor is priced at $699 and is going on sale worldwide on January 23. The new monitor features the same resolution (3840-by-2160) as Dell’s UltraSharp 24-inch and 32-inch monitors announced in December. With a $700 price tag, the consumer-focused 28-inch P2815Q won’t gouge your pocket book quite as much as its pro market predecessors. Those two monitors are currently priced at $3,500 for the 32-inch UP3214Q and $1,300 for the 24-inch UP2414Q. Just how Dell was able to get the price of the P2815Q down to almost half of the UP2414Q is unknown, as Dell hasn’t announced detailed specs for the new 28-inch monitor yet. But we’ll do our best to find out what this monitor is packing and what corners Dell had to cut when we talk to the company at CES this week. Dell is promising the same “screen performance” in the P2815Q as in the UltraSharp models that preceded it. And just like the other 4K models, the P2815Q also comes with Dell’s Premium Panel Guarantee that promises a straight-up exchange if you find even a single pixel misbehaving during the warranty period. When Dell introduced the UltraSharp models in December they both came with an impressive array of ports, including HDMI, DisplayPort, mini-DisplayPort, four USB 3.0 ports, and a 6-in-1 media card reader. Is this where the “budget” 4K model will take a downgrade? Perhaps. Then again, when Dell first teased the P2815Q in early December, the company said the monitor would offer “multiple input ports…to display content from smartphones and…connect laptops, PCs and essential accessories.” We're also intrigued to see the monitor's refresh rate. Even if the P2815Q turns out to be the 4K monitor of our dreams, a 28-inch monster is still awfully large for most of us who stand or sit little more than a foot away from our computer screens. It’s not as overwhelming as a 31.5-inch flat panel, mind you, but it’s certainly not as comfortable as a 24-inch model would be. At $699, Dell’s UltraHD monitor is the cheapest 4K panel to show up at CES this week, although Lenovo and Asus aren’t far behind with separate 28-inch UltraHD monitors priced at $799 and rolling out in the spring. Whether 4K enthusiasts should drop their dough on Dell’s monitor or wait for Asus or Lenovo's models to arrive should become clearer as CES winds on.